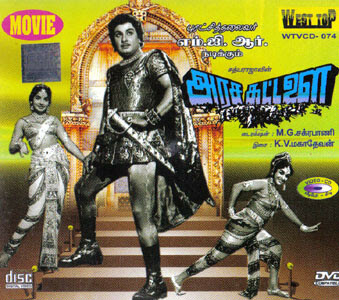 Watch Online Old Tamil Superhit Movie Arasa Kattalai (1967) Starring M.G.Ramachandiran , Saroja Devi , Jeyalalitha , M.N.Nambiyar , P.S.veerappa and Others . This Movie is Directed by MGR's Brother M.G.Chakkrapani . Music to this Movie is Scored by K.V.Mahadevan . All the Songs in the Movie are Hit Songs .